Those were the words of UMass Lowell Chancellor Jacqueline Moloney’s high school guidance counselor when she asked to be enrolled in college-level courses. One of eight children, Moloney grew up being told that college was something off the radar for her. “College really wasn’t encouraged or thought of for most working families,” she said. Little did that counselor know that what he did was ignite a passion, a determination to prove him wrong. After sneaking into those courses until, with the help of a teacher, she could take them for real, and at the end of high school she was enrolled at Lowell State College (LSC). “So obviously, he said that to the wrong girl,” said Moloney. Moloney entered college with dreams of becoming a teacher; however, the year she enrolled was also the year they removed the teacher education program. That did not deter her from her college dream. She majored in sociology with the mindset of becoming a social worker post-graduation. A member of committees and student government during the merging years between LSC and Lowell Technical Institute (LTI), Moloney saw a campus that was divided but was coming together. With a connected campus, brought new horizons, but at the time Moloney had no idea just how influential she would be in this emerging school. Moloney worked with non-profits after graduation, quickly rising to leadership positions wherever she went. After a few years of this and spending time with her family, Moloney returned to UMass Lowell, finally getting her opportunity to teach as a professor and eventually worked in administration in a university quickly evolving into a research one. She worked closely with Bill Hogan, the chancellor at the time, who she said was like a mentor to her and saw something in her even then. Moloney worked hard on efforts to diversify the new, connected university and let students know they had resources and were part of a community where they would be accepted. 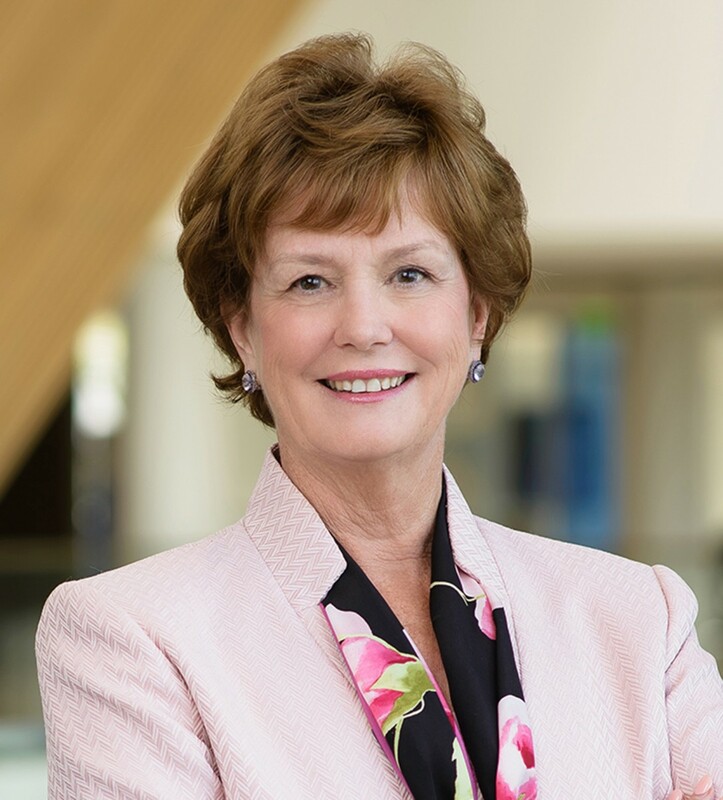 Moloney has been with UMass Lowell since its beginnings and has helped the university grow immensely in all the administrative she has held throughout her career, and she has continued to add onto those changes since she became chancellor in 2015. A River Hawk since the beginning of UMass Lowell, Moloney understands exactly what that means and how everyone – students, alumni, faculty, staff, and community members- encompasses what it means to be a river hawk both at UMass Lowell and beyond. Moloney said all River Hawks share a special bond that all can sense and embody in everything they do both on campus and in individual communities. “I have always felt that we are bound together as River Hawks in our commitment to each other. I think as River Hawks we are very compassionate people and that we take care of each other, and we also have a strong lead and passion to contribute to our communities,” said Moloney.